Thermoplastic-insulated copper wire with a nylon covering. 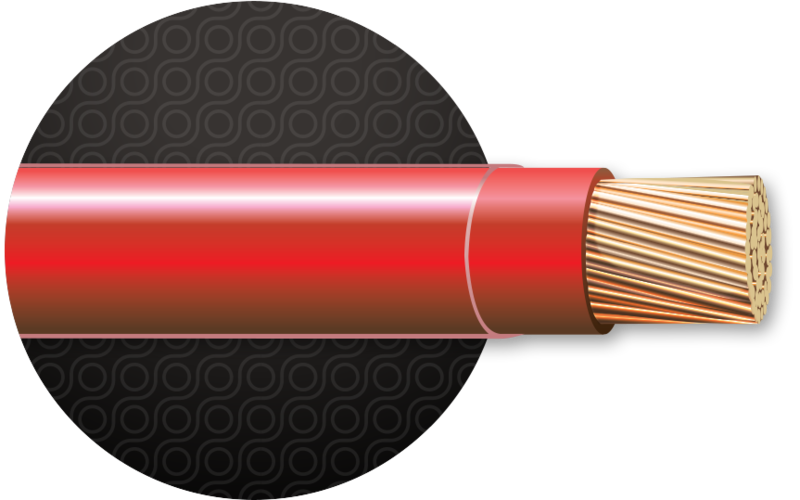 Sizes 8 AWG through 1000 kcmil feature Cerrowire SLiPWire™ Technology for fast and easy pulling in conduit. This 90°C, 600 volt building wire is for use in residential, commercial and industrial applications. Intended for use in accordance with the National Electrical Code® in both wet and dry locations. Conductors 8 AWG through 1 AWG are marked VW-1 and 1/0 AWG through 1000 kcmil are rated for use in cable tray. When used as appliance wire, 105°C dry rated. Nylon (polyamide) color-coded THHN/THWN-2. Sizes 8 AWG through 1000 kcmil SLiPWire™ are self-lubricated with CERROWIRE’s Self-Lubricating Polymer Technology. Sizes 1 AWG and larger are available printed with True Sequential Footage™ on master reels.